Antonio Stradivari Cremona, 1727 "General Dupont"
At the age of 83 Antonio Stradivari was far from contemplating retirement. Unlike the previous year where he was largely absorbed with cello making, 1727 was one of Stradivari’s most productive years for violins. The renewed energy in his making is particularly evident in a handful of instruments for which his choice of wood and varnish is more typical of the previous decade. 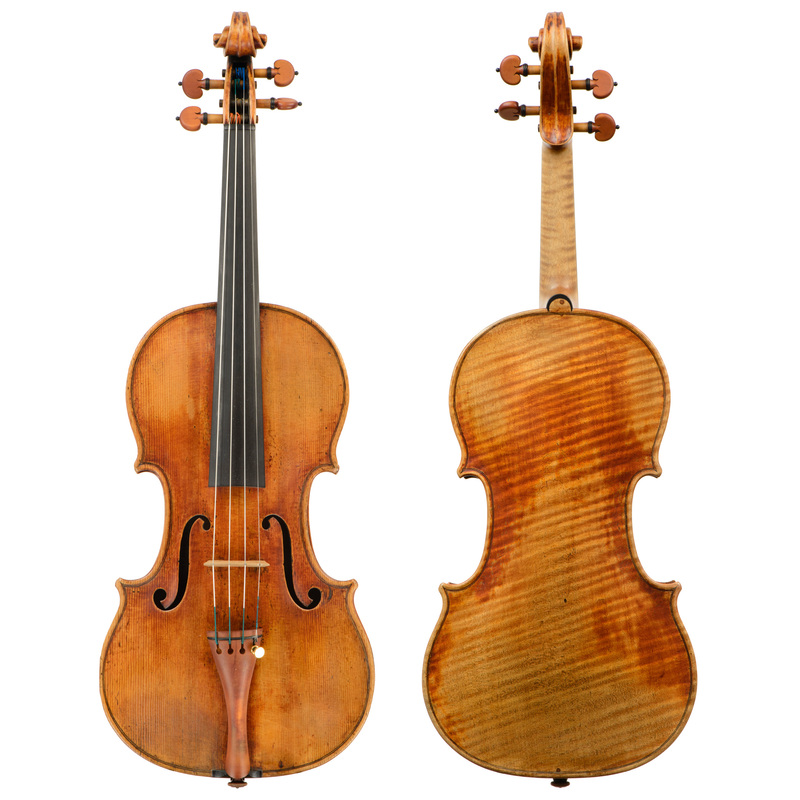 Like the “Venus” and “Francescatti” of the same year, the deeply flamed maple back of the “Dupont” is covered with Stradivari’s finest, vibrant, reddish-orange varnish. The “Dupont” derives its name from its first known owner, General Pierre Dupont who purchased the violin from Nicolas Lupot in Paris. Dupont was a general of the Revolutionary and Napoleonic Wars and was made Comte de L’Etang by Napoleon in 1808. He fell from favor following one disastrous campaign but was reinstated with the Bourbon Restoration and appointed a member of the Private Council of Louis XVIII and Deputy for the district of Charente. He wrote several military treaties as well as poetry, and lived in retirement from 1832 until his death in 1840. His family maintained possession of the violin until the turn of the century. The violin was purchased in 1933 from Maucotel & Deschamp by Mr. L. Maurel. In 1957 it was sold through Marcel Vatelot to the Count de Launoit for the use of the Belgian soloist Arthur Grumiaux. Grumiaux played the “Dupont” through the early 1960s using it for the historic recordings of the Bach Sonatas and Partitas and the Mozart Sonatas with Clara Haskil. The violin remained with the de Launoit family until 1994 when it was acquired by Richard Bogomolny and Patricia Kozerefski of Cleveland, Ohio. Until recently the violin was on loan to the American violinist Jennifer Koh. In late 2014 it was purchased by a Beijing collector.